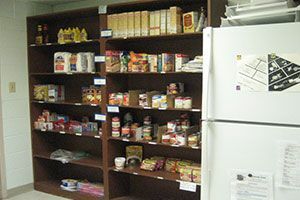 We have listed all of the Monmouth food pantries that we have found. With help from users like you we have compiled a list of some. If you know of a food pantry that is not included here, please submit new food pantries to our database by going to the ADD A LISTING link on the header of our website. Hours: Pantry hours are Monday - Friday from 10 AM-12 PM and 1 PM- 3 PM. Call to see if you qualify for the food pantry. Providing assistance through Transient Care, Thrift Shop, Summer Feeding Program, Food Pantry, After School Kidz Klub, Warm Neighbors, Christmas Baskets, Angel Tree, Community Meeting Room, Gym facilities. Due to the low number of listings in Monmouth, we have added area listings below.